Evening meetings of the Nicola Naturalist Society are held at 7PM on the third Thursday of the month in the Lecture Theatre of NVIT (Nicola Valley Institute of Technology) on Belshaw Road, Merritt. Admission is free to members. We have awesome raffles. Sarah Desrosiers is a local graduate student pursuing her degree at the University of British Columbia. She has worked with Inuit elders, youth and land users in the Canadian Arctic for six years. She is collaborating with communities to help document, preserve and promote traditional knowledge of plants for foods, materials and medicine. 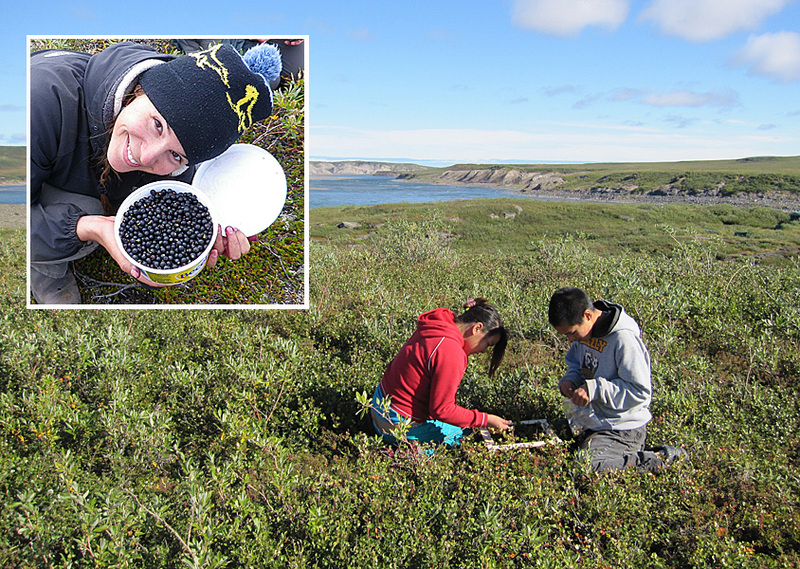 Sarah will discuss her involvement with a community-supported berry-monitoring program in Kugluktuk, Nunavut. She will also talk about the importance of building capacity for youth to engage with the local environment as a way for healing and well-being. This will be a very interesting ethnobotanical talk. Sarah Desrosiers will explain the key role of berries in modern Arctic communities. Photos courtesy Sarah Desrosiers. Jo-Anne Hales is a professional agrologist and the Environmental Specialist for the Tk’emlúps te Secwépemc. 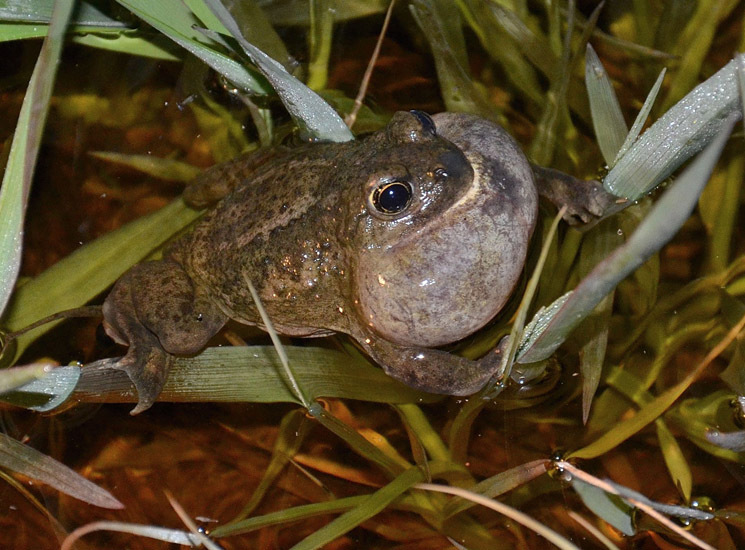 She is also completing a Master of Science degree in Environmental Science at Thompson Rivers University studying the Great Basin Spadefoot (an amphibian species at risk) on the New Gold – New Afton Mine site. Come and hear about these charismatic little critters. Thursday May 18th 2017, 7 PM at NVIT Lecture Theatre:. Maps and Apps: The Principles and Use of GPS for Naturalists. Norm Hansen and Murphy Shewchuk will lead a presentation on understanding GPS and getting the most from your GPS unit or phone. Join Bob Scafe to search for butterflies in the Merritt area. Mark your calendar – these are the outing dates (all Saturdays): [Outings on April 29th and May 13th were cancelled due to cold, wet weather and lack of butterflies]. Coming up: July 8 (note change in date to avoid conflict with the Canada Day weekend), August 5, and September 2. For all butterfly hunts: Meet at Civic Center to car-pool and depart at 9.30 AM. Wear warm clothing, (layers), and dry footwear for walking in wet grass. Bring water, lunch, binoculars and camera. CANCELLED April 29th Butterfly hunt: locations – Fox Farm FSR, and Comstock FSR. Vehicles suitable to cross cattle guards, gravel roads. Most butterfly viewing will be on foot, from the road, with occasional ventures 10 m ( 30 ft.) into forest meadows (optional). Expect to see: Spring Azure Blue, Western Tailed Blue, Western Pine Elfin, Hoary Elfin, Stella Orange tip. Possible sightings: Silvery Blue, Freija Fritillary, Satyr Comma, Green Comma, Mourning Cloak, Milbert’s Tortoiseshell. CANCELLED May 13th butterfly hunt: locations – Douglas Lake Road, (1) Campground (outhouses), (2) Chapparon Lake, and (3) Rush Lake. Paved roads, most of the way, some gravel sections, and cattle guards on DLR. All butterfly viewing will be “park and walk” on generally flat surfaces. Some areas may be damp. Expect to see: Freija Fritillary, Silvery Blue, Arrowhead Blue, Hoary Elfin, Western Elfin, Lorquins Admiral, Tailed Blues. Possible sightings: Various Sulphurs, Boisduval’s Blue, Old World Swallowtails, Dreamy Dusky Wing, Painted Ladies (maybe). June 3rd Butterfly hunt: locations – Douglas Lake area (either Pennask Lake Road or Douglas Lake Road) Expect to see many species. For a report on this outing click here: June 3rd 2017 outing. Saturday April 22nd – meet at 8 AM to car-pool at the Merritt Civic Centre. Bring lunch, binoculars, camera. Each spring we head up to the Douglas Lake area to look for Sandhill Cranes. Thousands of these big cranes migrate through this area each spring, but it is a matter of luck to be there as they pass through or stay over to feed. In 2013 we encountered over 2,500 cranes but in some other years only 2 to 4. But there is a lot to see even if we see few cranes – lots of waterfowl, raptors, deer, coyotes etc. Saturday June 17th, 8 AM – 4 PM. Meet at Civic Centre to car-pool. 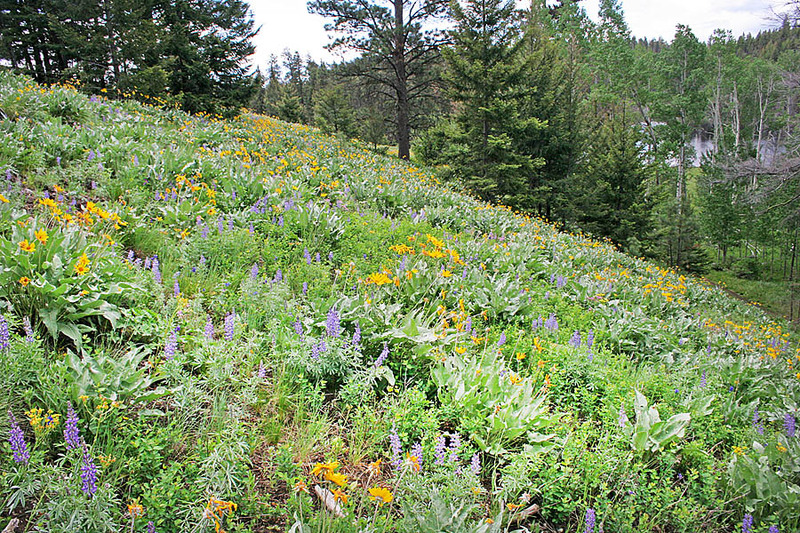 Enjoy the wildflowers at Hill’s Homestead and beyond, and the birds in the lakes and woods. Bring lunch, binoculars, camera, walking shoes. Other field outings are being planned for the spring and summer. Keep checking here.